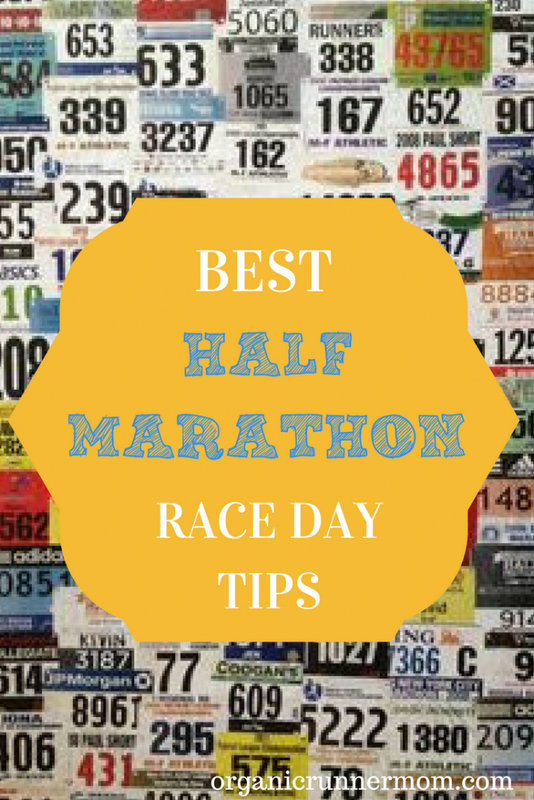 Get Ready for your Best Half Marathon Race Day! You’ve run your longest runs. Your legs are ready to tackle the half marathon. It’s your first one and the longest race you’ve ever run. The day before you head to the expo to pick up your race bib and check out the latest running gear. The buzz and excitement coming from the other runners makes you excited but also starts a little nervous buzz of adrenaline. Before you head to bed be sure that you are well fueled and hydrated, a small snack of protein and carbohydrates before bed should do the trick. You won’t sleep well and that’s ok because the few nights leading up to race weekend you were responsible and went to bed early and slept like gold. Tossing and turning is ok as you will want to wake up early anyways and you will get some sleep. In addition to taking care of these night before the Half Marathon must-do’s you should also be sure to lay out your race day clothes the night before and if you are an instagram addict then you will want to take and post your Flat-Runner picture. Laying out your clothes ahead of time will ensure that you are not doing the crazy scramble the morning of the race. This is also a great time to prep your race day fuel and any post-race clothing that you may need. Now you are ready for race day! Your alarm went off with plenty of time to eat a light breakfast before heading to the race venue. Then you will be ready to rock and roll! You have done the work! The miles are in the bank! Now trust your training and you will rock your race! Stick to your race plan and your race goals. It is easy to get caught up in the energy before the race starts or to get “tricked” into racing a pace that wasn’t a part of your plan. I like to find somewhere quiet to sit to do a little pre-race visualization! Visit the port-pottys leaving yourself plenty of time if lines are long. You will want to be comfortable once the race gets going. If it is a colder day, wait until the last moment to shed your layers or bring a throwaway layer and throwaway gloves if you are worried about being chilled! Warm-up! This should include some dynamic stretching. Head on over to Fuel your Future with Tina Muir (elite runner) to learn more about how to do a proper dynamic warm-up. Get to the starting line in time to find your pace group (if the race is big enough to have one). You don’t want to start with a group that is either too slow or too fast as this can really kick the nerves into high gear! This is a long distance race which means the first couple of miles are a great time to find your pace and to settle in. Run this half marathon like you own it! If you stick to your plan you will feel like you can push the pace for the final miles! Finish 13.1 Miles with a smile and celebrate your half marathon finish! You did it! Be sure to stop by to see what the other awesome bloggers have to say about half marathon race day! Now you are ready!!! What are some of your best tips for race day or running a half marathon race? Yes! No one likes chafing!!! Great tips Sandra! Finish with a smile is my favorite! If it’s not fun then why do it? right? Great tips! I agree with all of them!! Great tips! Getting the right fuel before the race is so important! And starting out too fast is always a big mistake! I agree you have to trust your training and then secondly do not forget about glide- smear it everywhere- chafing is the worst! Great tips – thanks for sharing! For me fueling properly before the race is more important than during the race! Great tips, testing out what you’re going to wear is one that got me in trouble before! These sound like some great tips for runners everywhere! I will be forwarding these to my runner friends! I think the most important thing is to always run your own race. No matter what else is going on, it’s vital to stay true to that. Getting up early enough to eat and get to where I’m going does a world of good, too. It stinks to miss out on sleep, but it’s for my benefit in the long run. Great tips! It’s so important to stick to your plan despite what others around you are doing. These are all great tips! Yes, to the port-a-pots 🙂 That is the first thing I do when I get to a race is get in line!! Definitely stick to the plan, and how you trained. The only race that you should be running on race day is your own. Good tips! I would also add that its a good idea to Know the Course! The only 1/2 marathon I have done was in a city about 30 miles from home. I trained on flat roads only. The first 3 blocks of the race were straight up a steep hill. I was beat before I barely began! I managed to recover, catch my breath, and finish fine, but it really threw me off for many miles after. Yes, throw away layers are so smart, I did not know about them before my first race. What a thoughtful post! I agree entirely. There are so many aspects of the prerun prep that you can plan anticipate and build into your routine. I find that the better prepared you are, the easier it is to focus on my goals! Thank you for the tip list! Wow, your tips are wonderful. Thanks for the great tips! I am running my 4th marathon next sunday, and I am always looking to enhance my experience. Really great tips. I struggle most with trusting my training and sticking with my PLAN! Your first one is always the hardest for me. I always doubt myself despite the months of training, and always imagine myself not being able to finish. Clearly need to work on my mental strength!